Till; SHAKERS WERE AMONG the primary proponents (and practitioners) ofgraduated drawers, although there are lots of cases—Chippendale. Federal and Queen Anne — that have graduated drawers. Under the dictum "a place for everything and everything in its place." the Shakers built drawers to house specific items.There is no reason for a drawer that will hold cassette tapes to be as deep as one that holds CDs. or for your underwear drawer to be as high as your sweater drawer. Also. 1 never build solid wood drawers much more than 9 in. high. Because ofsea-sonal wood movement, anything higher will leave too wide a gap in midwinter (even with overlay drawers), and the drawer could bind in summer. The formulas for the example here—a four-drawer chest with 1 -in. graduations—can be used for any chest with an even number of drawers. Add 1 in. 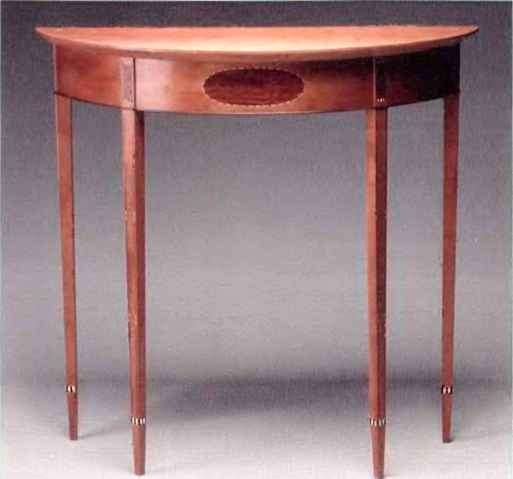 to the drawer height below and subtract 1 in. from the two above. A case with an odd number of drawers has a middle drawerwith an equal number of drawers above and below it. The method of determining the average drawer height is the same as for a case with an even number of drawers. The formulas for the example here—a seven-drawer chest with 1 -in. graduations-can be used for any chest with an odd number of drawers. For the drawers below the middle drawer, increase the drawer heights in 1 -in. increments. Forthe drawers above the middle drawer, decrease the drawer heights in 1 -in. increments. you are a stickler for detail, you may also want to consider graduating the size of the knobs or drawer pulls as well. Once you know the height oflhe case and the number ofdrawers in the case, laying out graduated drawers is straightforward. To get the available drawer space, subtract from tire total height the dimensions oflhe top, bottom and ah oflhe dividers. The number of dividers in a case will always be one less than the number ofdrawers: e.g., a five-drawer case will have four dividers. Dividing the available drawer space by the number of drawers will give you the average drawer height. Regardless of whether you're building a case with an odd number or even number ofdrawers, the average drawer height is the most important dimension. If you have an odd number ofdrawers, the middle drawer will be equal to the average drawer height. For the drawers above, simply subtract the amount by which you want the drawers to get smaller—the graduation interval — and add this amount to the drawers below the middle one. When figuring drawer graduations for a case with an even number of drawers, y ou still need to find the amount ofavailable drawer space and calculate the average drawer height. However, there will be no average-height drawer in the case when you are through; the average drawer height is just the starting point in your calculations. Determine an average drawer height, then add or subtract one half the graduation increment to or from that average height to get started. Then proceed by full graduations. Always remember that you have some flexibility. Ifneeded, you can add a fraction of an inch to the top molding or remove a fraction ofan inch from the base to make the numbers work in a simple way (making your life a lot easier) without compromising the chest.You probably can't change the dimensions of your dividers, though, which have to be a specific size if they are to fit into dovetails or dadoes cut with a standard router bit. 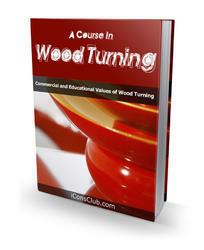 CHRISTIAN BECKSVOORT is a contributing editor to Fine Woodworking magazine. How to layout graduated drawers? HOW TO LAY OUT SHAKER GRADUATED DRAWERS?